San Juan city commissioners cited a lack of communication for placing city manager Benjamin Arjona on a three-month probation in September. The decision was made via a 3-2 vote behind closed doors during executive session at the Sept. 25 city commission meeting, with Mayor Pro-Tem Pete Garcia, Commissioner Jesus “Jesse” Ramirez and Commissioner Ernesto “Neto” Guajardo voting in favor of the motion, and Mayor Mario Garza and Commissioner Leonardo “Lenny” Sanchez voting against it. Before voting on the motion after returning from executive session, Ramirez said, “I think the concerns are from the majority regarding (Arjona’s) communication, or lack thereof … and then we’ll discuss again whether those items have been addressed and we can move forward,” according to the video recording of the meeting. “I feel that I’m not getting informed of things that are going on and happening within the city,” Ramirez told The Monitor on Monday. “This was something I had brought up in May of this year and I was hoping it was going to improve. 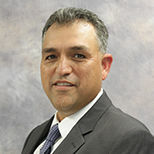 Ramirez alleged that only select commissioners were receiving information about agenda items and city updates and “whoever has the information has the power.” Because commissioners had previously addressed communication issues with Arjona and felt there was no improvement, Ramirez pushed for placing him on probation during the commission’s annual review of Arjona’s contract. Per the city charter, the city manager is hired on a one-year contract that can be renewed. The mayor declined to comment on any issues commissioners have had with Arjona, who was hired in September 2015. Arjona also declined to comment, saying, “I really can’t because anything that was discussed was discussed in executive session.” He directed The Monitor to the city’s attorney, Ricardo Palacios, for more information. Palacios, however, did not return multiple phone calls requesting comment. Arjona did confirm the probation was not related to the city charter’s stipulation that he relocate to San Juan within three years of accepting the position. The residency requirement, however, remains on the city charter, and Ramirez said it will need to be addressed, adding, “We should be going by the charter.” The only way to alter city charter language is by voter referendum. Arjona will receive his current salary during the three-month probationary period, according to the mayor pro-tem, who said no specific issue or instance prompted the motion. “It was just to give him a sense to do some improvement … to do some stuff that he needs to get done,” Garcia said. Prior to convening in executive session, commissioners discussed the status of a mural that University of Texas Rio Grande Valley students were to paint at the baseball/softball complex at Mayfield Park. Despite being approved in 2016, the mural has yet to be completed, according to Garcia, who noted during the meeting that Arjona had given the parties involved direction to put the project on hold. Arjona clarified during the meeting that the mayor had told him to hold off while the city determines whether upgrades need to be made to the building’s facade prior to the mural going up.